With GDAK you can create databases on your Android device and fill them with caches via the Geoacaching.com Life API. Tool for use with multi-caches. Download geocaches into Locus Map. A navigation application for outdoor enthusiasts. Discover up to 10 trackables per minute. GCDroid is your 'one stop shop' mobile geocaching application. 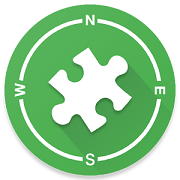 CacheBox is a paperless mobile geocaching software for Android with online and offline maps support and Geocaching.com Live API capability.